the medial lemniscus is represented by both the blue and green lines. major pathway for carrying tactile and proprioceptive information to the thalamus. 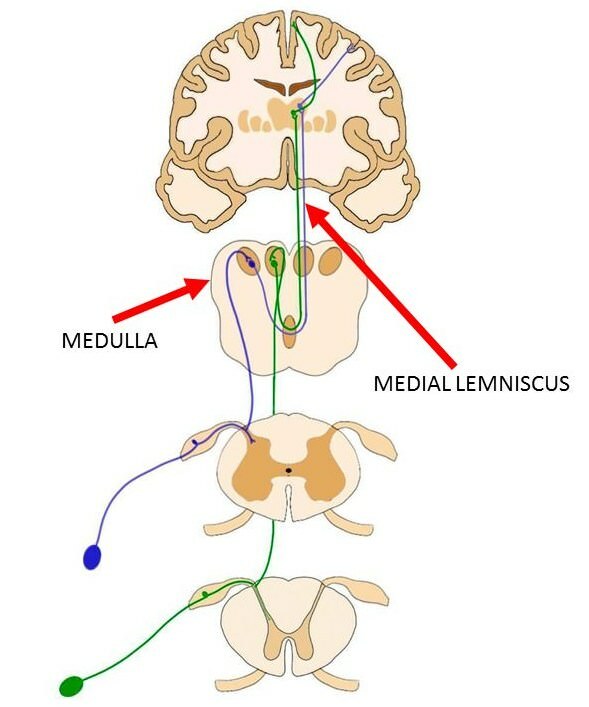 The medial lemniscus is formed in the medulla as fibers from the posterior column nuclei cross the midline.